Here are Four Fabulous Recipes for Greek Tacos you can make in the Instant Pot or slow cooker for your Taco Tuesday dinner tomorrow! Season with garlic, lemon, and a few spices to create the perfect Greek flavors we all love. 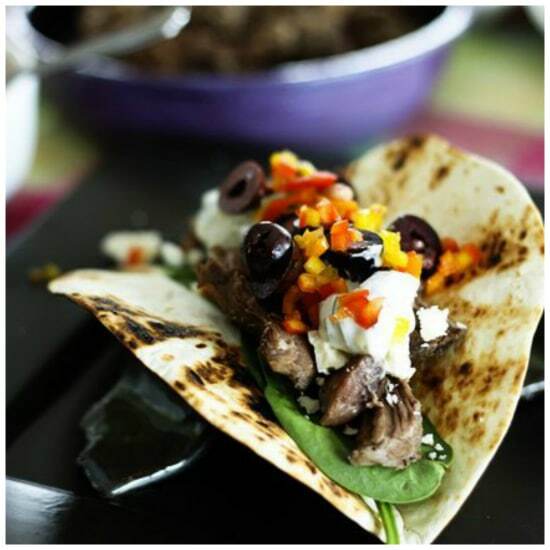 Click here to PIN Four Fabulous Recipes for Greek Tacos! Do you think Greek Tacos are an option for a Taco Tuesday meal? I hope so because today we’re updating this post with Four Fabulous Recipes for Greek Tacos that we think would make an easy but impressive Instant Pot or Slow Cooker Summer Dinner for your next casual get-together with family or friends. Lamb or pork cooks in the Instant Pot or slow cooker without heating up your house until it’s fall-apart tender, and the tacos are served with cooling ingredients like Greek yogurt, cucumber, spinach, olives, and Feta cheese. Don’t you think that sounds amazing for a summer dinner idea? Instant Pot (or Slow Cooker) Low-Carb Greek Pork Tacos from Kalyn’s Kitchen are made with lemony Greek pork that is tender, shredded, and served in low-carb tortillas with Greek Salsa. Kalyn says this was an Instant Pot winner and will be a hit with anyone who likes Greek flavors! Pressure Cooker Greek Tacos from Pressure Cooking Today start with tender chunks of seasoned pork cooked with lemon juice and a few spices. The pork cooks for just 25 minutes in the pressure cooker and then is served on warm pita bread with lettuce, tomatoes, and Tzatziki sauce. 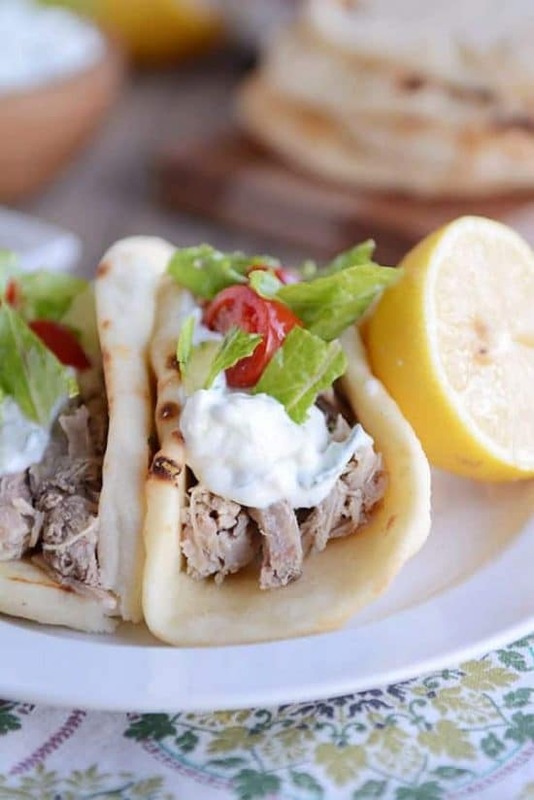 Tender Greek Pork (Instant Pot or Slow Cooker) from Mel’s Kitchen Cafe is fall-apart tender in about an hour in the Instant Pot and Mel says “it’s fantastic served in soft flatbread with tzatziki sauce (equally delicious over a salad or rice! ).” Mel has also included the slow cooker version of Tender Greek Pork if you prefer that method of cooking. Lamb tacos — what an amazing idea! Must try these. I agree, sounds delicious to me.